Nita Collins | Write, create, celebrate! Yesterday was the official first day of spring. The sun has crossed the celestial equator, moving northward. I celebrated the Vernal Equinox by going outside to inspect my flower beds. Were my tulips poking green tips up through the chilly dirt yet? Yes! Yes, they were. Small, green tips about an inch high, full of promise. I can’t begin to say how happy that made me. Even though we’ve had a pretty good winter (by my standards, anyway), I still felt a burst of joy at the first sign of the flowers the deer find such a delicacy each spring. I am crossing my fingers they forget to check the edges of my driveway this year. Tulips confirmed, I came inside, made a cup of tea, and tidied my sewing room. As I ran a damp dusting cloth over newly cleared surfaces, I appreciated all the things I love about this space: the way the lace curtain hangs to the side of the glass door leading out to the deck, my shelves with their bins of colourful scraps, the sampler blocks I found while tidying and impulsively arranged on the design wall, Samson watching me from his pillow in the corner, the sight of Bastion Mountain rising up into the sky, stone grey and green against the blue sky right outside my window. Sometimes it’s the simplest things that bring the most joy. What small things bring you joy? Last October I was invited into a book club by my friend Jean. Call me a nerd, but I have always wanted to be in a book club! I am the youngest at 57. Our eldest member hosts 90 years with grace and a keen wit. I want to be just like her some day. I’ve read four books with them so far: The Golden Age by Joan London; Forgiveness by Mark Sakamoto; The Alice Network by Kate Quinn; and The Home for Unwanted Girls by Joanna Goodman. This month they are reading Finding Gobi by Dion Leonard. Quite the eclectic selection! It is really interesting hearing their opinions, and especially–especially!– soaking up the stories they tell around each novel’s topic. For example, when discussing The Golden Age, the group reminisced about Polio. Uh huh. Reminisced. And after reading Forgiveness, they told their own stories about friends and acquaintances (of Japanese descent) who had been forced into internment camps during the Second World War. Here’s the thing: I have lived most of my adult life surrounded by people my age or younger. It wasn’t until we moved to Salmon Arm that I had the opportunity to spend much time with the generation one up from mine, to listen to first-hand stories on subjects that are, well…historical from my perspective. 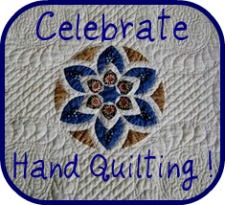 I feel the same about the quilters guild that I belong to, where eight members are turning 80 this year, and one will celebrate 100 years in April. Being part of these two groups is like being surrounded by a room of older sisters, aunts, and even a grandmother or two. And the laughter! Let me tell you, these ladies like to laugh. Seriously, if the collective life experience of these women could be transmogrified into electricity, it would power a small city. Do you have the opportunity to participate in an activity with a diverse group of people including those a generation older than you? And do you belong to a book club? If you don’t and you’d like to, ask at your public library. I’ll bet they can point you in the right direction. Our Yukon summer sojourn is over. We drove away from Dawson City two days ago. Tomorrow will see the Yukon behind us for another winter. I took a lot of walks, saw two parades, read a lot of books, made my 60,000 word goal on the next novel, made some new friends, and learned some interesting things this summer. And I still haven’t told you what brought us up here in the first place. It would be so easy to stay and make a home here…so easy to knit myself into the community. Life is grand and full of possibilities! Well, the frost is on the pumpkin here, and our time in Dawson is nearly done. There are so many things I haven’t shown you yet! This is my view out the front window: a dredge pond surrounded by tailings piles left by the dredges sometime in the early 1900s. The rocks make a great background to show you the knitting projects that have kept me busy. We will be loading up the camper and heading south sometime next week. I had hoped to have this sweater finished and a good start on a second one by summer’s end, but my ambition exceeded my capacity. Kelly has one last big trip to fly this weekend, and I will tell you all about it when he gets back. Today I’m off to town in search of warmer clothing. Autumn comes early this far north. I hope you’re keeping warm, too! Dear Vi, You might have heard that the streets of Dawson City are paved with gold, but the truth is, they aren’t paved at all. Here’s evidence: boot brushes outside the door of every establishment. And miles of boardwalk. This summer has been a writing retreat for me. I left home with a sketchy idea for my next novel, and today I’m well over halfway there. I’m writing about 1,000 words every time I sit down, which has been about 5 days per week. Sometimes more, sometimes less. When I’m not writing, I’m reading All The Books, which is so incredibly delicious – a summer of unlimited time. And I’ve been accompanying Sam on his walks, of course. We love to walk up and down the streets, the boardwalk sometimes booming under our feet, sometimes squeaking , often soft with age. I brought quilting projects and everything I need to sew a blouse, but haven’t taken my sewing machine out even once. And that’s just fine. It’s okay to stop once in awhile to wade in the water and smell the grass. Dawson City sits at the place where the Klondike and Yukon Rivers merge. In many ways, the town itself mirrors this merging. The rivers flow side-by-side for a ways, the line between the muddy Yukon and the (slightly) clearer Klondike easy to discern. And the city flows side-by-side, too. Old and new holding hands the way you did with your best friend back in kindergarten. Yes, Dawson City is a historic gold rush town, fun to visit. The community library is located within Robert Service School. How cool is that? But it’s also a town where people live and work and raise their kids. Old and new are side by side everywhere you look. This is where I buy my groceries: And the liquor store (in the old harness shop! ): My favourite restaurant: The local community radio station (with proud show hosts): The Gold Rush, past and present, all coming together where the rivers meet. And the First Nations…don’t assume I’ve forgotten them. Their story is the oldest of all. But I’ll save that for another time, another letter. You probably already figured out that Kelly and I are spending the summer in Dawson City, Yukon, where Kelly is flying for Great River Air, but I heard you were wondering what our housing situation is like. We are living in company-provided housing…a very comfortable 26-foot travel trailer on the company lot in a residential industrial area (that’s an oxymoron if I ever saw one!) four kilometres outside of town. As you can imagine, it’s a dusty place. This is our little home-away-from-home. That’s us on the right. We share the outside space with our neighbours, fellow pilots also working for Great River Air. It didn’t take long to settle in. Throw a handmade quilt on the bed and it’s quite homey. This is a scrappy maple leaf quilt with blocks from the We Bee Canadian quilting friendship group I belong to. I finished it just in time to travel north with us. There’s another handmade quilt on the back of the couch: Garden Party, which I made a couple of years ago. It’s astounding, really, how easy it is to live in such a tiny space. It’s so easy to get caught up with stuff. We all have so much of it! But living here for these couple of months, I realize how little I really do need. That’s not to say I don’t appreciate or miss the luxuries of home! Home is where the laundry dries in the sun. No matter where I am living, I still avoid the electric dryer, lol. I’m such a hippie girl. Doing without certain conveniences for a period of time reminds me to include them on my daily gratitude list. Things like internet access and not having to conserve water, for example. What conveniences do you take for granted? This morning, the radio reported that it was overcast in Dawson City when in reality the sky was blue, blue, blue with not a cloud in sight. Our weather reports come from Kelowna, BC, over a thousand miles south. And this morning we had the news feed coming in from Yellowknife, about 1,000 miles to the East. Serious distances. So how would they know the weather was completely wrong , way over here? Heh heh heh. Well, such a beautiful day requires pictures of flowers, don’t you agree? My neighbour brought me a bouquet from her lovely flower garden: And I even have a few pots growing beside our travel trailer home. One of the things I’ve always loved about Dawson City is the flowers. Along fences and other creative places… Summer is short in the Yukon. The first leaves come out in mid May and they start to change in late July. Mother Nature has a lot to do and not much time to get it done.When you live in a landscape where you’re always dealing with winter or preparing for winter, colour is very important. Dawson City used to be known for its beautiful vegetables. I remember walking the side streets and alleys, gasping in admiration of the back yard gardens, the giant cabbages and lush trellised peas. But times and priorities change, along with the population. The old timers are mostly gone, and the new people moving in aren’t here for the long haul, and so don’t garden. That’s my guess, anyway. But thank goodness the flowers remain as bright and plentiful as always. I just finished reading the Best Book. Really good. You should read it, too. Except…I was nearing the end when I read the last two words on the left hand side: “It’s okay.” And then I shifted the book a bit in my hand as my eyes slid to the next page on the right and what I assumed was the next chapter. But instead of the next chapter, I read the word “Acknowledgments,” and “First, thanks to Frank…“. There was no blank page to signal the book was over. Not even a good old fashioned The End in fancy flowing script. Here’s the thing: when I finish a book – especially a good book, I like to savour the ending. I like to set the book down on my lap and gaze at the ceiling for a few minutes, absorbing what I just read, reflecting on it a bit. Maybe I have a little introspective smile on my face. Maybe I think about turning the book over and reading it again. So, in the absence of a blank page following those final words, I was robbed of all that delicious savouring. I tried to go back and read the ending again, capture the aborted moment, but it was gone. Forever. In a funny little way that I’m embarrassed to admit, the entire book was diminished for me. Instead of that final minute of reflection, of easing back into the ordinary world, the transition was abrupt and jarring. I need to take a minute to savour what I’ve read…then turn the page when I’m ready to ease myself back into the world, and read the author’s thank you’s to everyone who helped along the way. However…the book really was excellent and I’m glad I found it in the library. Give it a read and see what you think. How do you like to finish a good book? Last Friday Sam and walked a well-worn trail along the side of the Yukon River in Dawson City. The city was preparing for the annual Dawson City Music Festival. Facing the river, we could hear the echo of a band bouncing back at us from the opposite shore.. It sounded as though the very rocks and trees were singing. Above the trail is another: a double -decker trail along the top of the dike that protects the town from spring flooding. It boasts some lovely places to sit. Life is slow at the moment… these past weeks…these past months. Here at the top of the world I search out the internet in interesting locations. The library, the airport, parked in my truck before the laundry at a motel down the street. The internet up here is as slow as I am. It takes several long minutes to load each picture. I’ve decided it’s time to start querying for an agent to represent Holding Space again. Like me, it has languished too long. What have you let languish? I’ve turned my chair to look North, where a thunderstorm is slowly working its way down the lake. I sat knitting for an hour or so while Kelly napped in the cabin and listened to thunder rumbling in the distance, wind in the trees, the snick of my knitting needles, the pair of baby ravens learning how to talk as they danced in the sky around their mother. We have been in the Yukon about five weeks now, ensconced in our cabin at Fox Lake, totally off the grid and being quite antisocial, to tell you the truth. But I shouldn’t say we. I spent more than three weeks of that time here completely on my own while Kelly was away having an adventure of his own. He was hired to ferry this beautiful vintage airplane to the Yukon from Sault Ste Marie, Ontario. I’ll tell you more about that in the next letter, I promise. As consolation for not being allowed to go, too, the day he left, I stopped into The Itsy Bitsy Yarn Shop (yes, that is really their name) in downtown Whitehorse and treated myself to enough wool to knit myself a sweater in Heritage, from the Briggs & Little Wool Mill in Harvey, New Brunswick. The colour is called Fawn. The pattern is called Mandolin from the latest issue (Fall 2018) of Knitty Magazine. It’s coming along well, considering the only thing I really know how to knit is socks. In fact, it’s coming along so fast, I might just have to go buy more yarn and make it a two-sweater summer! Every time we leave the house, we have a conversation with Sam first. Sam sees us getting ready and starts his little happy dance. Sam: oh boy oh boy oh boy, we’re going somewhere! Sam: ears go down, slinks away to jump on the bed. Sam: ducks head to escape smooches. Sam: climbs into the pillows, digs himself a nest to wait out the long desolate hours. Sam: follows us with his sad eyes. When we pull out of the driveway, there he is, watching through the glass door. We wave. “Bye, Sam.” Then we sigh. Sometimes I seed his toy basket with treats before I go , creating a sort of doggy Easter egg hunt. When we get home, he’s always found them all. I know, I know. But I bet you do something similar. Am I right?